Okay, so I read 23 books with an average of 3.5. That is the highest I’ve had in months, for those who have been keeping track. I’m finding that when I read books I really want to, I rate them higher. Not reading new releases since, well, most of them don’t suit my fancy. I think I need to keep this month in mind in the future. Easy 5/5 for me. I’m continuing on with the reread and I just love it. Eventually, Chantel and I will do joint reviews for these, but there is no ETA for them. Just so y’all know. 4/5 for this reread! I had a lot of fun with it and I’m really glad that this lived up to my expectations since I’ve built this up in my head for a while. 3.5/5 and this was an ARC provided by Tor. (Huge thank you to them!!) I wanted to love it more than I did. It was still good, but I didn’t fall in love like I have in the past. 4/5 and probably the scariest book I read this month tbh. It’s an ARC and it’ll come out in November, but I highly recommend it if you want to see the timeline of the opioid crisis. It’s chilling. 1/5 and a very sad DNF. It was one of those DNFs where I could have totally read it all but I had no interest in doing so. Also, this was an ARC and the book will be out in November! COMING ON HERE 10/29 I gave this 3.5/5 because it was a good debut novel, but there were just threads/ideas that were left hanging that I couldn’t reconcile. A fine book, but it was lacking something. Oh, and this is an ARC that will be published November 20th! COMING ON HERE 10/29 This was a solid 3/5 for me. A great book for beginners who don’t want to be bogged down by doctrine or old hats who just want new practices. It’s a good book, but I couldn’t use it like I wanted to. 4/5 for me and my review will come out in November. It was another solid set of stories by Ahlborn and so good. You’ll see my full thoughts in early November! 4/5 and another great reread for me. Like, damn. I built this series up so much in my head and it totally fit it. 5/5 for me! I definitely think this is one of the best King books of all time. My review will be published in early November, but it was just so damn good. I also rewatched the movie with Chantel and there were many tears on my end. Another 4/5 for me! I don’t think it’s the strongest book in the series, but I still had such fun rereading it! 1/5 and my second out of three (yes! just three!!) DNFs for this month. I couldn’t get into it and I’m basically positive that White isn’t my kind of author. An easy 3/5 because at some points it was excellent and others it definitely wasn’t. Also, I totally binged the TV show over my week of anxiety (aka, my dating attempt) and it was SO. MUCH. BETTER. I laughed. I screamed. I ugly cried my way through the ending. You know, normal TV stuff. 5/5 and a book I’ll recommend to everyone. The topic doesn’t sound that great, but it’s one of the best books I’ve read about death and dying. This is the third DNF, so it’s 1/5 for me. I wanted to like it, but it felt like a debut. And not a good one at that. This book used to be on my favorites shelf, but I removed it after this reread. Not a bad book, since I gave it 4/5, but it wasn’t as good as I remembered it to be. I gave this a 4/5 but it probably didn’t deserve it now that I’m looking back on it. (Whoops.) Still, it was a solid sequel, but it definitely hints the direction the series went that I wasn’t interested in. What a crazy pants book right here. I gave it 4/5 but it really is the best book in the series. It’s also the weirdest and the book goes in a direction that I don’t think most liked. Still, I thought it was great. COMING ON HERE 10/28 The final book in this series gets a 3/5 because the series was fine overall and I liked it, but I wasn’t a fan of the direction it went in. Just, well, you know how it goes. I’ve started collecting the paperbacks of these books because they’re so cool and make a “family” tree of the different rulers. This month, I read William III and Mary II, Edward VII, George V, and Edward VIII. All of them got 4/5 but I didn’t review them on here because they’re super short, I don’t have any meaningful input, and I’m lazy. The links will take you to the reviews, which are just a few sentences long. So, that’s my month right there! I also did some fun tags and that one personal post where I came out to the internet. What was your favorite and least favorite book this month? Link me to your favorite post so I can be sure to read it! Wow so many, what a great month!! Thank you! ❤️ Best month I had in a while tbh. I hope you had a great month as well! Feel free to link yours to mine! I’m still not quite sure on how to link yet..
Oh, you just take the link to my blog post and put it in yours, then I’ll get a notification to approve a link and it’ll be there. But, either way, I’ll read yours! You’re welcome! It helps when you do tags for sure. Right??? It’s so damn good and I’m debating watching it again. Did you cry at the end? You read so many books, congrats! 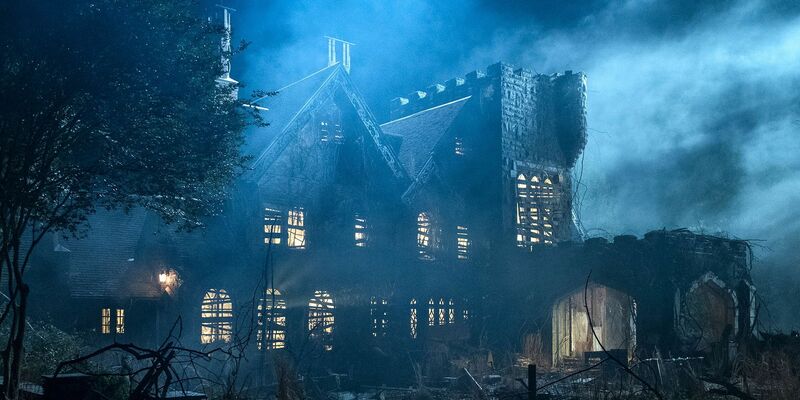 I’m very keen to read The Haunting of Hill House because I loved the show (even though I know they’re very different from each other). Also shame you didn’t like The Dark Descent of Elizabeth Frankenstein, I’ve heard so many good things. Hope you have a great November ! The show is so good! Far better than the book, tbh. But, I think me not liking the Elizabeth Frankenstein book comes down to me not being a big fan of the author. I hope you had a great October, too, and that your November is just as fantastic!